❗❗ How to Personalize: During checkout please enter the personalization text in the "Notes to buyer" section. Please do not include any other instructions other than your personalized text. The depth is approximately 1 1/2inches. Love this sign! 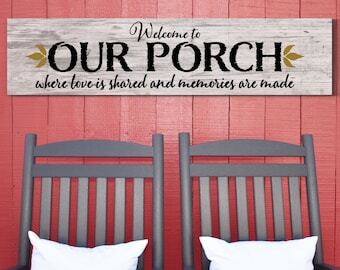 It is perfect with my farmhouse decor! PLEASE MAKE SURE YOU HAVE YOUR CORRECT ADDRESS FOR SHIPPING PURPOSES. YOU ARE RESPONSIBLE FOR COST TO RETURNED PACKAGES AND RESHIPPING. WE ARE NOT RESPONSIBLE FOR LOST, STOLEN and DAMAGED PACKAGES. We do not work for USPS. USPS is Responsible. Use the tracking information sent to you via email, to file a claim with USPS, FedEx, UPS. TAKE PICTURES OF YOUR DAMAGED PACKAGE!!!!! USPS WILL NEED A PHOTO IN ORDER FOR YOU TO FILE A CLAIM. All items are shipped via priority USPS. Signs with a custom size or larger than 40 inches will be upgraded to be shipped via FedEx. Once your item has shipped you will receive an email with a tracking number for your purchase. We cannot be held responsible for wrong addresses that are provided to us. Please make sure to check your address and update it as needed. It is your responsibility to provide the correct Shipping address at the time the order is placed. We use Etsy to print our shipping labels, and it prints what is provided by the customer. :) We are also not responsible if you do not pick up your international order due to VAT fees. Items returned to us, for this reason, will not be refunded. All Signs are sold "as is" custom work. No two signs are painted alike. Distressing is the in the eye of the artist's interpretation. Please refer to color chart image, to see the colors you will be choosing. The displayed photo DOES NOT depict the exact colors or style. ALL SIGNS WILL BE PAINTED SOLID, UNLESS YOU REQUEST THEM TO BE EXTRA DISTRESSED. Please leave you request to have them distressed in the NOTEs section. Each Rustic Farmhouse sign we make are one-of-a-kind, due to the nature of the wood and the distressed finish. We only use reclaimed wood. Our goal is to use wood that has been discarded and is no longer used. We find the wood grain, nail holes, knots, and cracks add to the simplicity and character of the sign. Sizing of each sign is in listing description. 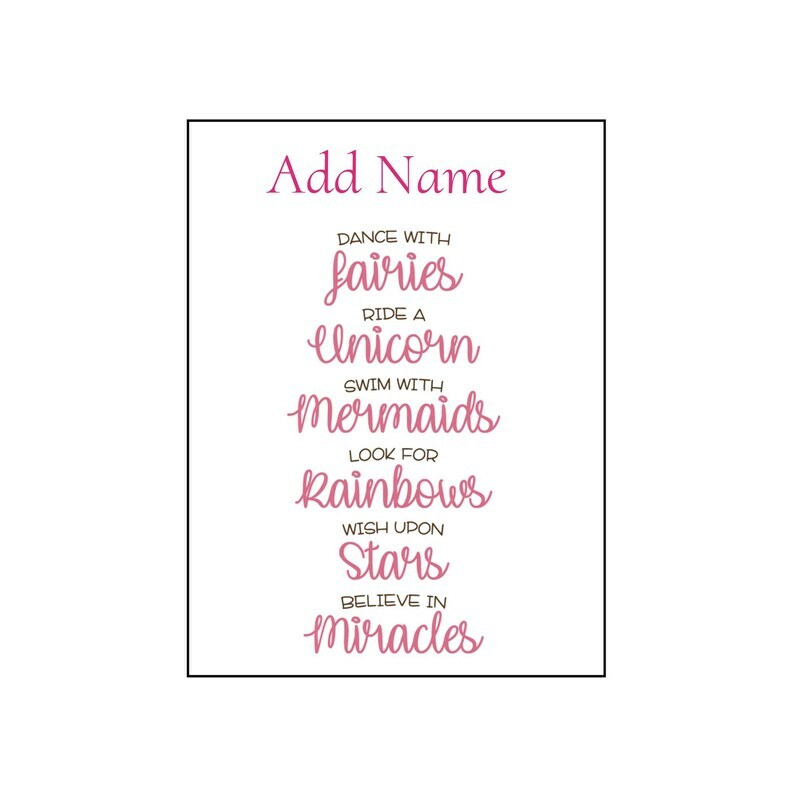 If you have requested a custom saying added to your sign or would like the listed quote or saying changed to somthing else, You will need to choose the listing CUSTOM LISTING. 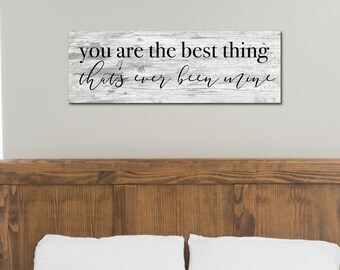 There is a small fee for custom designing your sayings and/or changing the listing quote and sayings on top of the sign price. LIKE TO ADD BEFORE SUBMITTING YOUR ORDER. All of our wood are hand painted signs and sealed with a matte finish for OUTDOOR use. All of our signs are measured and listed in inches. If you would like a larger sign, Please message us. We would love to help you build a custom sign. What's the cut off day for Christmas? Will shipping be delayed? While these dates are not set in stone, it is what we expect to see during the holiday season based on previous years experience. It is in your best interest to get the orders in before the cut off date. Even elves have to keep to a schedule so that everything is done on time. We can't promise you anything regarding shipping, because shipping can be affected by severe weather conditions, flight delays, increased volumes etc. Even Reindeer struggle to fly during a snowstorm. Items purchased from our production partners are considered custom orders and are in most cases not returnable. All Canvas prints, personalized products are considered Custom Items. Bedding , Farmhouse Pillows, Bathroom Decor are all Custom items. They will only return if there is a printing caused on their part. No two signs are alike. Our signs are painted by hand. No vinyl used. Please refer to color chart image, to see the colors you will be choosing. The displayed photo DOES NOT depict the exact colors or style. Due to the nature of reclaimed wood there will be variances in color, paint splashes, paint bleeds, knots, nail holes, cracks, and gouges. These discrepancies add to the overall uniqueness and charm of each piece.